According to the American Veterinary Medical Association, over 43 million households in the U.S. include at least one dog. Imagine how many dog owners there are worldwide? There are also more than 340 recognized dog breeds in the world, but which are the most popular dog breeds? All pet owners have different criteria that they are looking for in a canine companion. Some want a hunting partner while others want a furry friend that will protect their home. For other pet owners, it's important to adopt a recognizable dog that their neighbor will associate with some movie they've seen the breed in. The most popular dog breeds listed below have varying qualities, but they are all famous in nearly every country due to several factors, no least of which the dog's temperament and health as well as how media have portrayed them in films, TV shows and news. You'll probably expect to see many of the breeds on this list, but some may surprise you. There is no breed as devoted and affectionate as the Golden Retriever. They are the absolute best family dogs. These sweet pups get along with everyone, even small children. They crave attention. Generally, Golden Retrievers do great with obedience training and bark when greeting people. They can adapt to any living situation, but they do need several daily walks and toys to play with. They are also great swimmers. Golden Retrievers are shedders, so they need to be brushed a few times a week. The Lab is one of the best, if not the best, all around dog. They are family dogs and want to be involved in every activity with owners. Labs have something called a “soft mouth” which means that they can be extremely gentle with their mouths, even being able to carry an egg without cracking it. Along with being one of the most popular dog breeds, Labs are extremely trainable and genuinely want to please their owners. This makes them perfect for jobs like being a service or narcotics detector dog. Labrador Retrievers adapt to their surroundings, but do need daily vigorous walks, playtime and the occasional swim. Labs actually have webbed feet, which makes them great swimmers. Pugs have grown to fame in the last five years. Their smushed faces can be found on merchandise from socks and t-shirts to backpacks and car decals. One famous pug named Doug has 1.9 million subscribers on Instagram! This breed loves to spend time with their owners and make them laugh with their funny personalities. Their small stature and easy going nature make them the ideal pet for apartment dwellers. The Chihuahua is one of the most popular dog breed in the United States and we often see this breed in movies. They are so popular in Southern California that there are now programs to send Chihuahuas from shelters in California to other shelters across the country that do not have as many. The Chihuahua's small physique and big personality make them perfect for walking around town with their owners. They are also great lap dogs. Chihuahuas love to play and enjoy spending time with their owners. This breed may not be the right fit for a a dog owner that spends a lot of time away from home. Most commonly known as firehouse dogs and from the Disney movie, 101 Dalmatians, this breed is well-known wherever you go. Their spotted coat is a dead give away. That distinctive coat does shed a lot, so they need daily brushings. When 101 Dalmatians was released, the number of Dalmatians registered went up and the breed has suffered grave consequences. Backyard breeding has caused most Dalmatians to have problems with deafness, blindness, bladder stones and allergies. If you decide to bring a Dalmatian into your home, make sure to get him from a reputable breeder. Also, they can have serious behavioral problems if not given proper extensive training. The Poodle is famous around the world as a symbol of posh, Parisian life. Available in four sizes – standard, medium, miniature and toy – you're sure to find a Poodle that will match your environment. They are often seen as dogs of the rich and powerful. Their personality matches this as well. Poodles love to be pampered and dressed to impress. They will parade around and show off their excellence. The Poodle is also the famous pet of every little girl’s favorite superstar, Barbie. The Pit Bull is notorious for being among the more aggressive and scary dogs. Their fame is based on fear and history of dog fighting. However, any pit owner would assure you that they are some of the best family dogs and, when raised in a loving home, are completely harmless. They get a bad rap for being the most common breed in dog fighting and when bred for it, they can be dangerous. The truth of the breed is that they make loving companions and get along with everyone they meet. Just like with all dogs, they need socialization and early training. But, the Pitbull will make a lifelong buddy for any loving owner. Known for their ability to pull sleds across Arctic snow, the Husky is one of the most popular dog breeds in the world. If you want attention just walk down the street with one of these dogs. They attract lots of it! Huskies are also well known for their almost human like vocalizations. There are countless videos of Huskies saying “ I love you” and “ Hello”. It is important to note that Siberian Huskies are not a dog for someone who is inexperienced with owning a dog. They need a lot of exercise and are not easy to train. Most commonly known for being police K9 units and military dogs, the German Shepherd is incredibly smart and hardworking. They love having a job. This breed has been used for search and rescue, police, military, bomb detection, tracking and protection work. Because of this, they need a lot of exercise to avoid behavioral and health problems. When getting a German Shepherd, make sure he is from a reputable breeder to avoid unwanted traits such as aggressiveness. The Pembroke Welsh Corgi is known for being the best friend of HRH Queen Elizabeth II. During her reign she has owned over 30 corgis and even tends to them herself. They are pampered and have their own special quarters as well as a gourmet chef. The Corgi has an innate problem with nipping, and even the Queen’s corgis have had problems with biting staff and the Her Royal Highness. They were originally bred as cattle herding dogs, so the Corgi loves to run and play. However, due to their problem with nipping, they aren't one of most popular dog breeds for families with children. The Great Dane is known for his size. There was a Great Dane named Zeus that holds the Guinness Book of World Records for the world’s tallest dog. He stood 7 feet 4 inches tall on his hind legs, and 44 inches from foot to withers. Unfortunately, Zeus died at age 5. These big guys love to play and are very sociable. The Great Dane is certainly an attention grabber and can be picked out of any crowd. They are one of the most popular dog breeds because they are gentle giants. If you're thinking of adopting a Great Dane, you'll need to be sure you have a very big couch. He'll surely want to be up there snuggling with you all the time. The Dachshund, or more commonly known as the weiner dog, is one of the most popular dog breeds in the world. Their short, stubby legs and long back makes them easily recognizable. They are often said to be half a dog tall and a dog and a half long. The Dachshund actually was the inspiration behind the hot dog. Hot dogs were originally called “Dachshund sausages”. These dogs are stubborn and have big personalities that complement their unusual proportions. The English Bulldog is tough looking, but don’t let his appearance fool you. English Bulldogs are loving dogs. They are notorious for being mean, muscular dogs. The common underbite that affects a lot of English Bulldogs makes them look malicious. Because of this, they are a common mascot for schools. The English Bulldog has recently gained more popularity for the many videos of them skateboarding, surfing and doing other athletic activities. They aren't as active as many other breeds, but a Bulldog will enjoy adventures with his owner. The Rough Collie rose to fame when Eric Knight’s book, Lassie, was made into a movie featuring a beautiful Rough Collie named Pal. Throughout the years Lassie was played by many Collie movie stars, and made this breed an icon in the dog world. These pups, as portrayed in the books and movies, are great family and guard dogs. However, they do have special grooming needs to keep up their luscious coats. Not only are they one of the most popular dog breeds, Rough Collies are also one of the most intelligent. They are easily trained and often used as working dogs. Known for finding people trapped under several feet of snow and predicting avalanches, the Saint Bernard is almost always shown wearing a cask or small barrel around their neck. The cask is reminiscent of a painting by Edwin Landseer called Alpine Mastiffs Reanimating a Distressed Traveler. They get their name from the Great Saint Bernard hospice in Switzerland where this breed originated. They would serve as guards and mountain guides for the monks as well as rescuers for lost travelers. The Australian Shepherd is an excellent agility dog and is popular for the amazing color combinations of its coat. These dogs are affectionate but are protective and wary of strangers. They are best known for their herding abilities but, are perfect dogs for agility, sheepdog trials, and long runs. This medium size dog can be nippy because of their innate ability to herd livestock. The Australian Shepherd needs to live in a home with lots of open space to run and play. They are a lively breed that will get bored easily without stimulation. This can lead to behavior issues. This breed is well-known around the world for being great lap dogs and friendly apartment dwellers. They love to curl up next to their owners and go for short walks. The Shih Tzu is a very outgoing breed and generally get along with everyone. They are very common for new dog owners and small families. This breed is also a favorite among elderly dog lovers. They are a fairly low maintenance breed, and they don't have excess energy. The Border Collie is known for its exceptional intelligence. They are easy to train, so you often see them competing or used as working dogs. Bred for herding, this breed is the poster child for agility and obedience trials. In 2015, Jules O’Dwyer and her border collies won Britain’s Got Talent for their amazing trick routines. They are friendly and outgoing dogs. One of the most popular dog breeds, Border Collies make a great dog for families. They are also a good match for dog owners who like to be active with their pet. Boxers are one of the most popular dog breeds for many reasons. They are energetic and fun-loving. They are a great family dog and love to be included in everything. Boxers are great watchdogs and do well with obedience but need early training. The Boxer needs daily exercise and are great jumpers, so they need high fences or invisible dog fences. Boxers aren't the healthiest breed. If you plan to adopt one of these care-free canines, make sure that you set some money aside for unexpected veterinary care if it is needed. These dogs are royalty, it’s in their name! The Cavalier King Charles Spaniel, the favorite of King Charles II of England, is rising in popularity. King Charles gave his spaniels to John Churchill, Duke of Marlborough, who bred them at his Blenheim estate. Through the years, the Cavalier King Charles Spaniel has made cameos in many famous movies and television shows. Most recently the controversial movie, The Interview, featured a Cavalier King Charles Spaniel puppy being the gift from Kim Jong-Un to Dave Skylark. The Chow Chow is recognizable all over the globe. Their fluffy coat and their blue tongues are the most notable features of this breed. When groomed, they resemble a lion. These sweet, cuddly dogs are perfect for lounging around the house. They are sensitive to heat, so don’t need a lot of exercise. The Chow Chow is a friendly and loyal breed, making them ideal for dog owners looking for a canine companion they can spend a lot of time with. Along with being one of the most popular dog breeds, the Greyhound is the fastest breed in the world. They are commonly bred for racing and are really built for speed. Retired racers adapt to home life easily and make very loyal pets. They can be timid but with training, can become great family dogs. Greyhounds have extremely high energy requirements. They need an active household with a big backyard to run in. The Cairn Terrier is not a name you may know, so why would they make the list of the most popular dog breeds? You will surely remember Toto, the faithful companion of Dorothy from the Wizard of Oz. Toto was played by a Cairn Terrier named Terry. Terry also had a starring role in the Shirley Temple movie, Bright Eyes. A little known fact about Cairn Terriers is that brindled individuals change color throughout their life. They often gradually get more silver or black. The Basset Hound is known for its long droopy ears, and stocky short body. There are many videos online of Basset Hound puppies tripping over their ears. They are very recognizable and definitely draw attention. These dogs are major droolers, so carrying around a towel is a must for owners. Loving companions, the Basset Hound also loves long naps. They are a great dog for apartment dwellers and owners with a sedentary lifestyle. The Beagle has been featured in many movies, television shows, and newspapers. They also had a sad history of being laboratory dogs. Their role in popular culture started back before the 19th century in works by William Shakespeare and Alexander Pope. More recently, this breed has been in supporting roles in movies such as I Am Number Four and Star Trek: Enterprise. The Newbery medal winning novel, Shiloh, by Phyllis Reynolds Naylor told the story of an abused beagle. And who could forget the “world’s most famous Beagle”, Snoopy from the Peanuts cartoons. The Beagle is definitely one of the most popular dog breeds around the world with both children and adults. The Cocker Spaniel is one of the most popular dog breeds because of their friendly nature and gorgeous silky coat. While they can have serious health and behavioral problems, a Cocker Spaniel from a reputable breeder will be sure to keep you and your family loved in any living situation. They do have special dog grooming needs, as their long silky coat needs to be cared for daily. However, they only require brisk walks and some playtime. This breed is highly recognizable by its distinctive wrinkle rolls, and curved ears. They are devoted family pets and are very protective of their territory. These dogs make perfect watch dogs, but they aren't a great choice for families with small children. Shar-Peis don’t do well with other animals either. Those rolls mentioned early can pose a problem, too, if not cleaned properly and checked for skin infections. 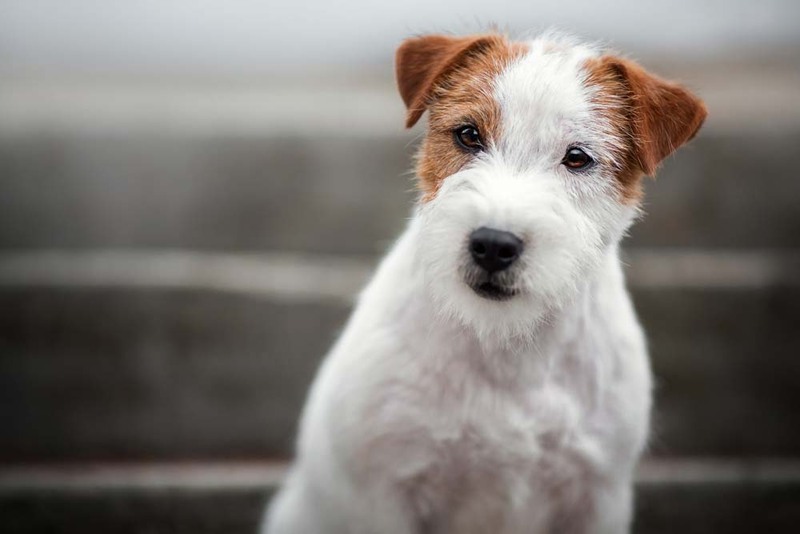 The Jack Russell is known for being very energetic, yet highly trainable. If you are going to take on the responsibility of owning a Jack Russell, you need to be sure that you have plenty of time to dedicate to behavior training. They are small but confident dogs and can be opinionated. There have been many famous Jack Russell dog actors like Cosmo from Paul Blart: Mall Cop and Uggie from Water for Elephants and The Artist. There was also a campaign to get Uggie nominated for an Academy Award, called Consider Uggie. That just goes to show that this breed is beloved by humans the world over. The French Bulldog is gaining popularity for its extreme cuteness, and small physique. These dogs are perfect for being carried around in a purse or walking down Rodeo Drive. Nowadays, pictures of French Bulldogs flood the internet. They are one of the most internet famous breeds. Frenchies are also commonly found on merchandise like shirts and socks. Who wouldn't want to sport apparel featuring a face as adorable as that? Pomeranians are popular for being great lap dogs. They are the perfect example of a small dog, complete with a huge Napoleon complex. Poms are balls of fluff that love to curl up on the couch and can be a great stand in for a heating pad. They do need extensive training to stop nipping and barking. This wouldn't be the best breed for a first time pet owner, and you won't see them making any lists of the best family dogs. Pomeranians are ideal for adult households with a lot of time to spend with their canine companion. Next articleWhat Fruits Can Dogs Eat?